Is it the sleight of hand of planning regulations that keeps the south of Suffolk one of East Anglia's remotest areas? The hills and valleys ripple above the valley of the Stour, and in them hide the county's most beautiful villages. 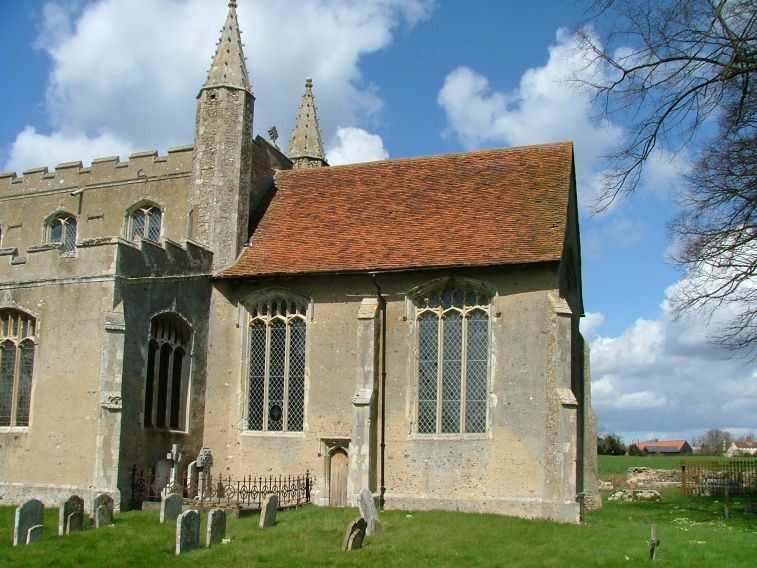 Boxford and Kersey are world-famous, but there are others in the area between Sudbury and Hadleigh that are nearly as lovely but little-known. 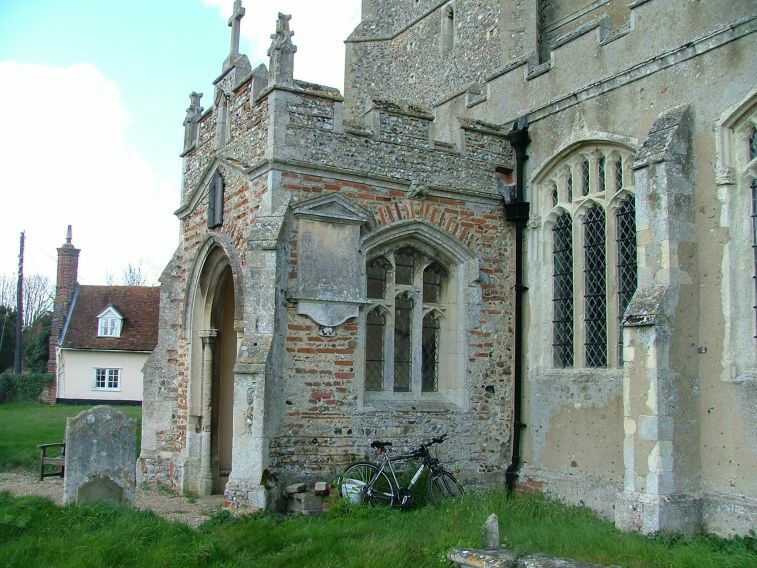 Little Waldingfield is one such place, a quiet, self-contained place on the Sudbury to Lavenham road, not far from its larger neighbour. 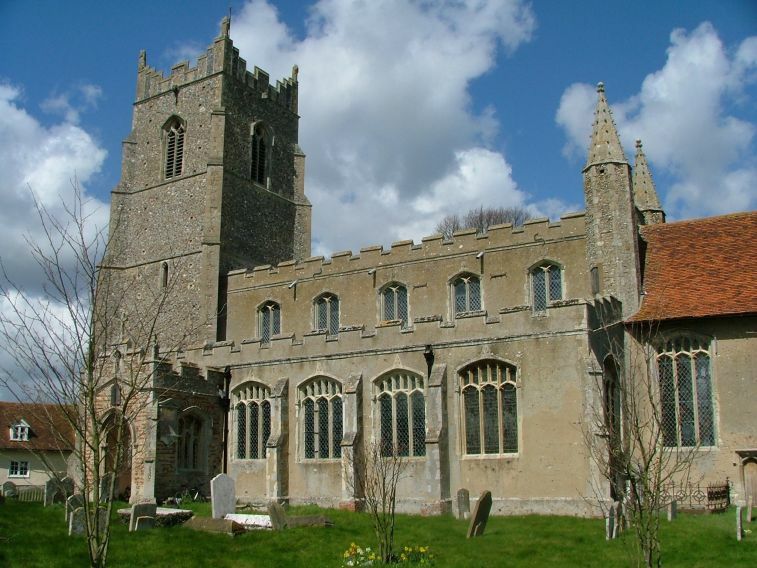 Curiously, the churches of both villages are dedicated to St Lawrence; a confusion, perhaps, of the 18th century antiquarians who in the main restored the medieval dedications which had fallen from use by reference to old documents. 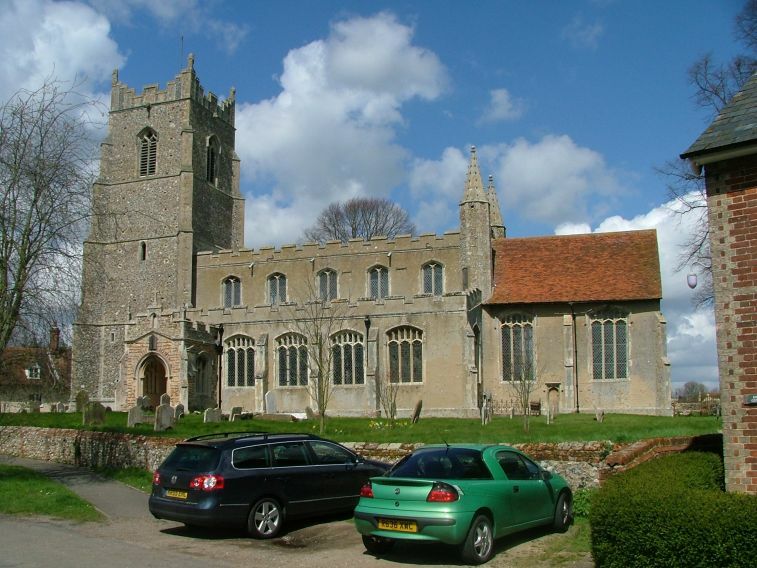 The classic Suffolk parish church is one rebuilt on a grand scale in the 15th century with aisles and a clerestory. 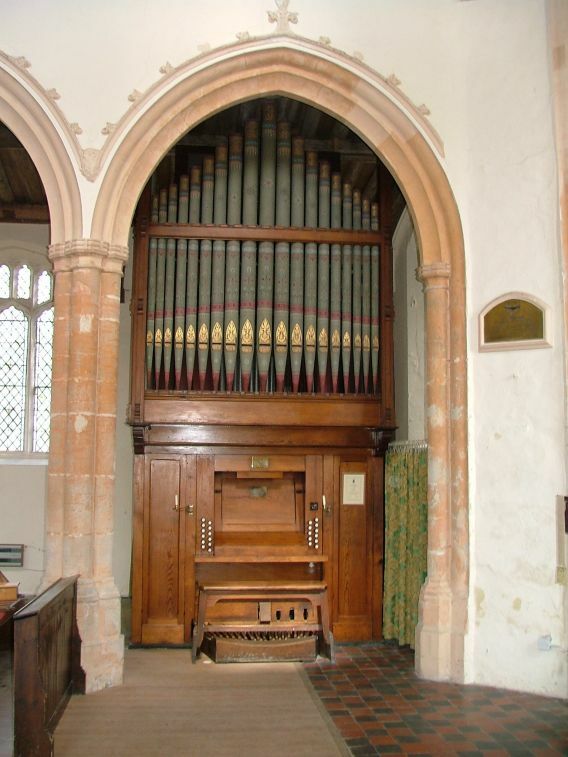 The biggest and best of Suffolk's churches are like this. 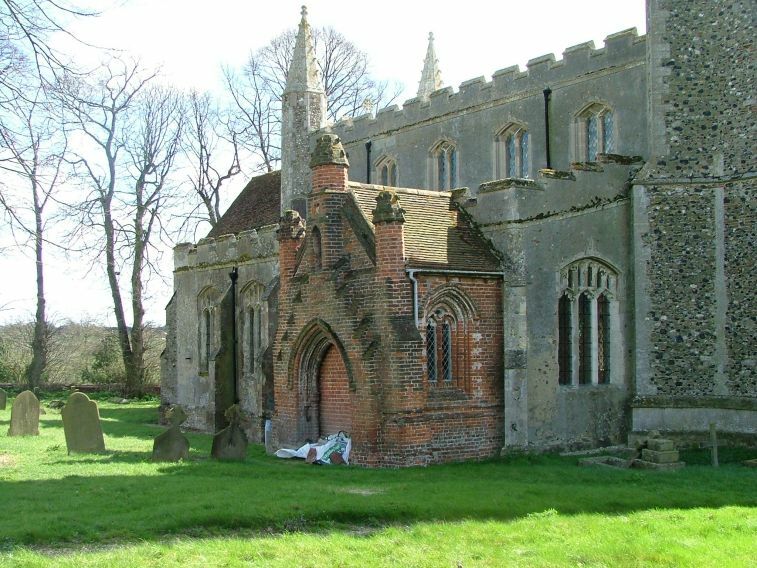 And so is Little Waldingfield, except that here the rebuilding was on a smaller, intimate scale. On the face of it, the church bears similarities to the great ship of St Peter and St Paul at Clare, especially with the tall roodstair turrets at the east end of the nave. 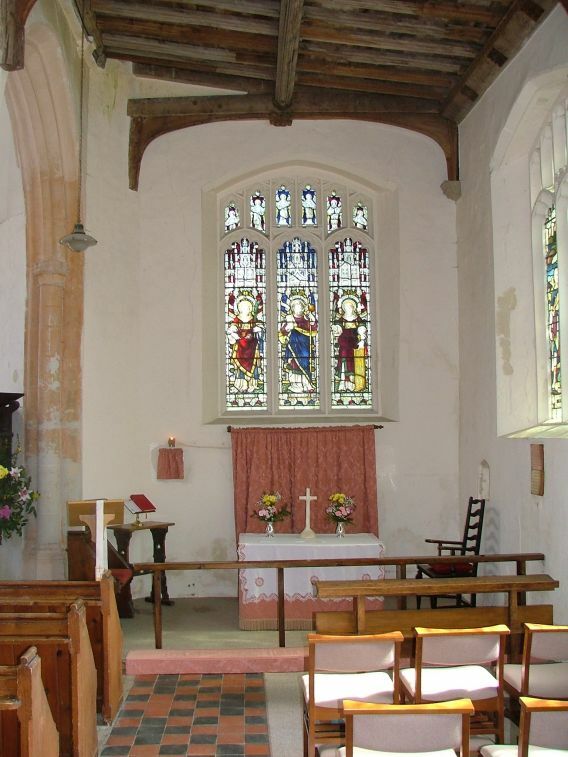 The proportions of nave windows to clerestory windows recalls Long Melford, but the odd thing at Little Waldingfield is that the chancel was never rebuilt, and looks rather domestic next to the late medieval glories of the rest of the building. Its steeply pitched roof is tiled in red, making it look as if a house were attached to the east end of the church. All in all, the building has an air of faded beauty. A gorgeous, ramshackle old porch fronts the south entrance. Around the back is the exotic surprise of a spired Tudor red brick porch, now blocked off to form a vestry. All in all, there is a faded beauty of a building which has queitly seen out the centuries. But what will it be like inside? How often, gentle reader, have you stepped inside a building like this to find a through-going and anonymous 19th century restoration? We mustn't be too hard on the Victorians, because almost every medieval survival today is due to their enthusiasm and energy. But how we long to find an interior sympathetic to the outside! 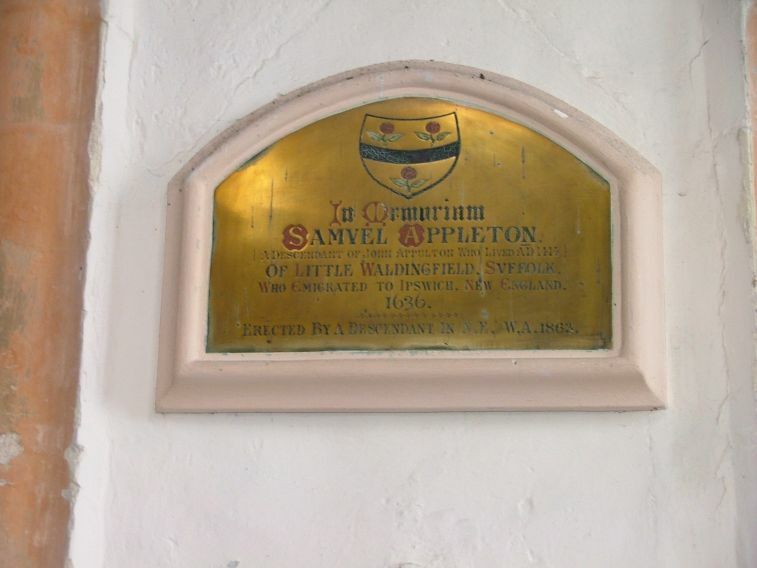 Well, at Little Waldingfield there is no disappointment. 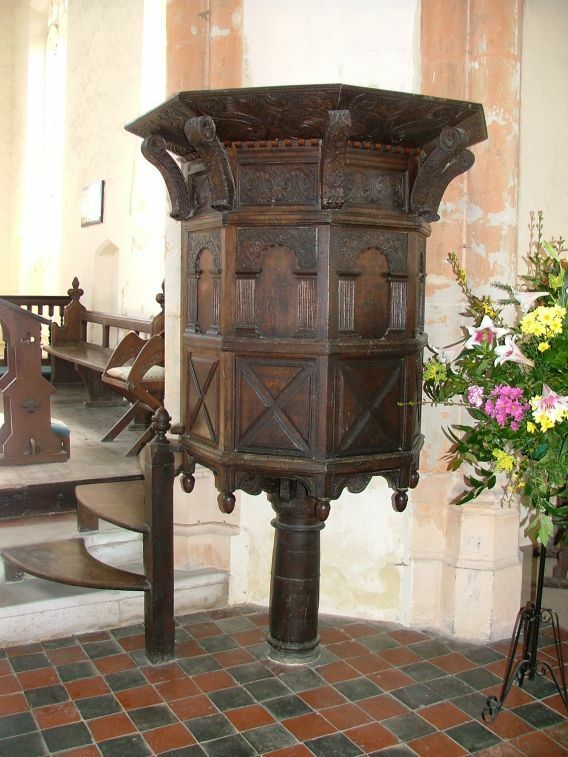 It as if St Lawrence, in its quiet backwater, was forgotten by the restorers who scoured nearby Lavenham, Long Melford and Great Waldingfield. here, there is a smell of age and damp, the old stonework of the arcades and floors a lingering memory of the days they were new. Standing at the west end is one of the area's most interesting fonts. 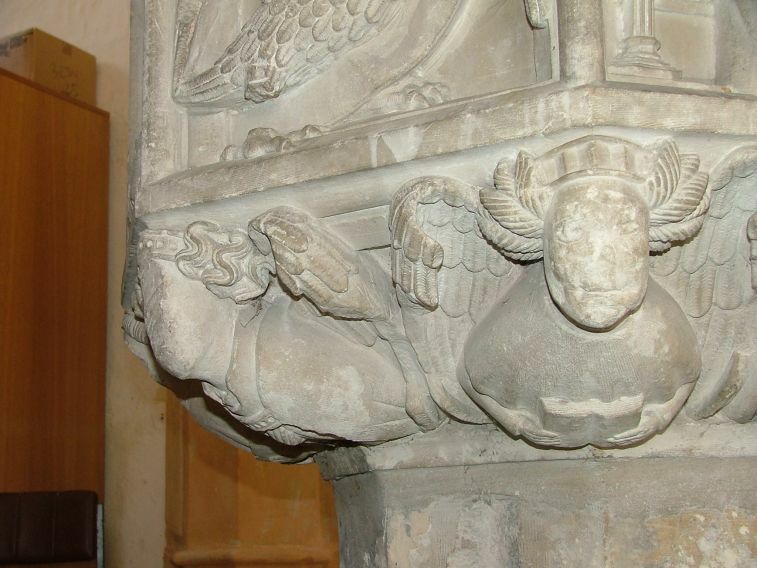 It is probably a bit earlier than the church around it - perhaps contemporary with the tower in the 14th century? 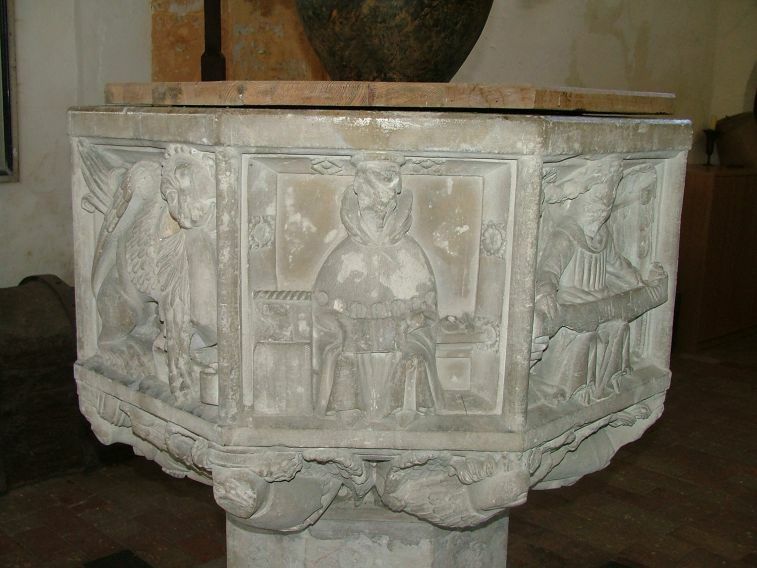 - and four of its panels depict monks sitting at benches and going about their business. 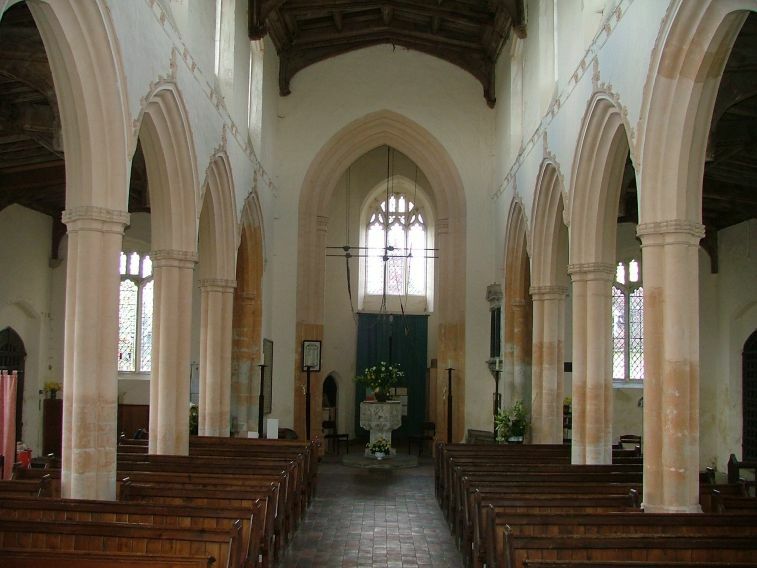 Turning east, you can see that the nave of Little Waldingfield church is a text book example of a late medieval structure, with aisles and clerestories on both sides, the eyes drawn upwards in the intention of Perpendicular architecture. 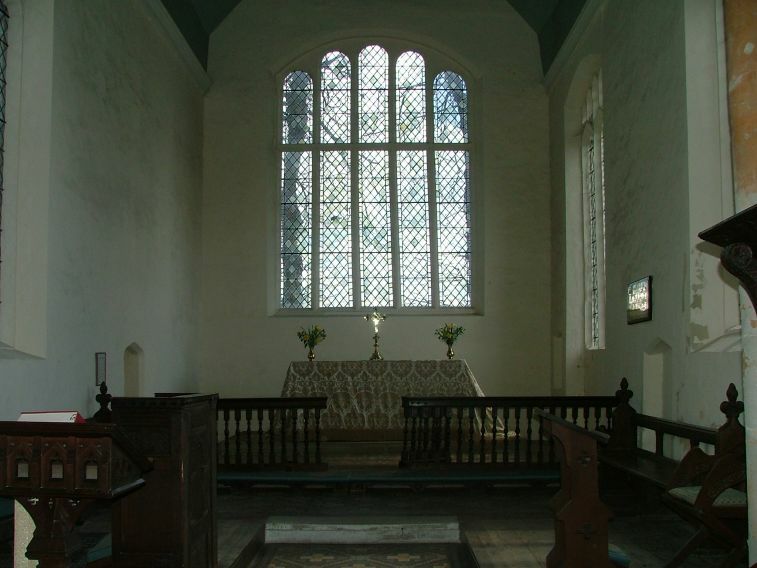 The quiet simplicity of the chancel with its clear-glassed five-light window lets you appreciate this all the more. 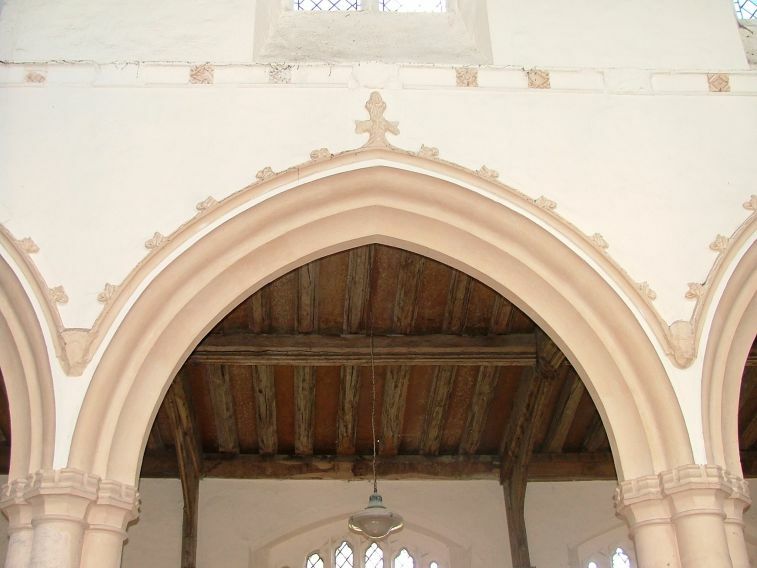 This simplicity extends into the nave; you feel that there is nothing unnecessary, nothing superfluous, no clutter to inhibit the ghosts of medieval and early modern Little Waldingfield. This is still their church as much as ours. You can meet some of them in the north aisle. 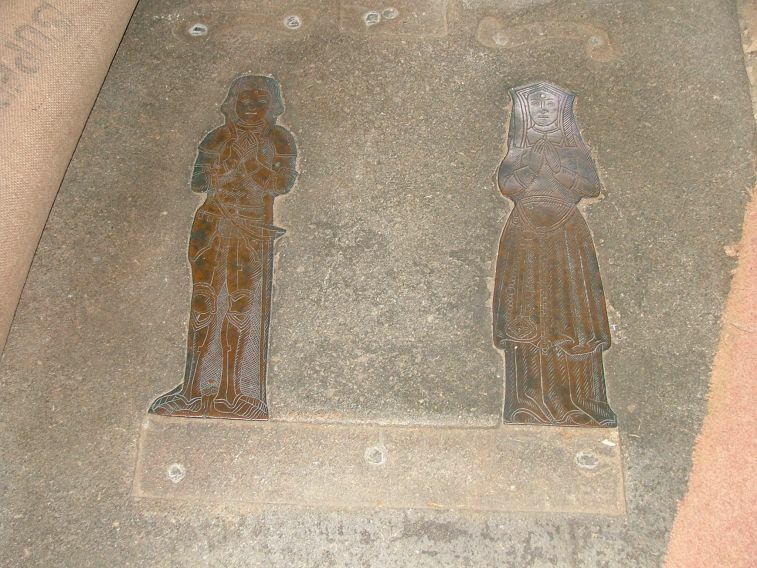 Here are brass figures of early 16th century Waldingfielders. 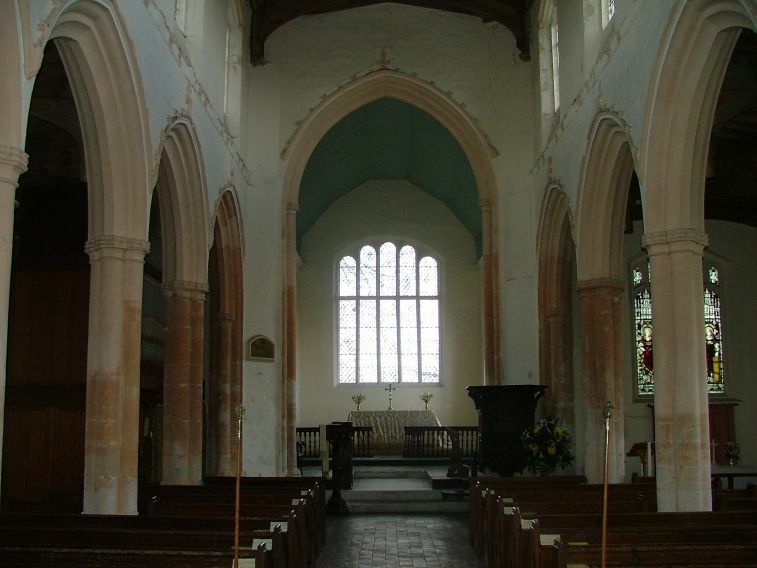 They would have seen this church when it was complete, as it is now, albeit without the later furnishings. 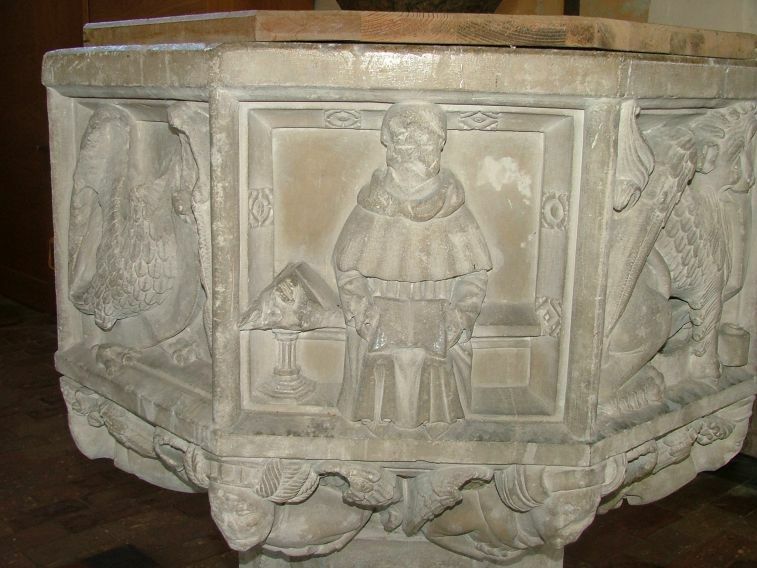 Robert and Mary Appleton died in 1526. This was the year that the artist Hans Holbein arrived in England. His portrait of Henry VIII that year shows a grand patriarch at the height of his powers, but also, perhaps, one can detect a thoughtfulness, a troubled brow. The following year, 1527, Henry would apply for the annulment of his marriage, a struggle leading ultimately to the break with Rome and the establishment of triumphal protestantism in England. 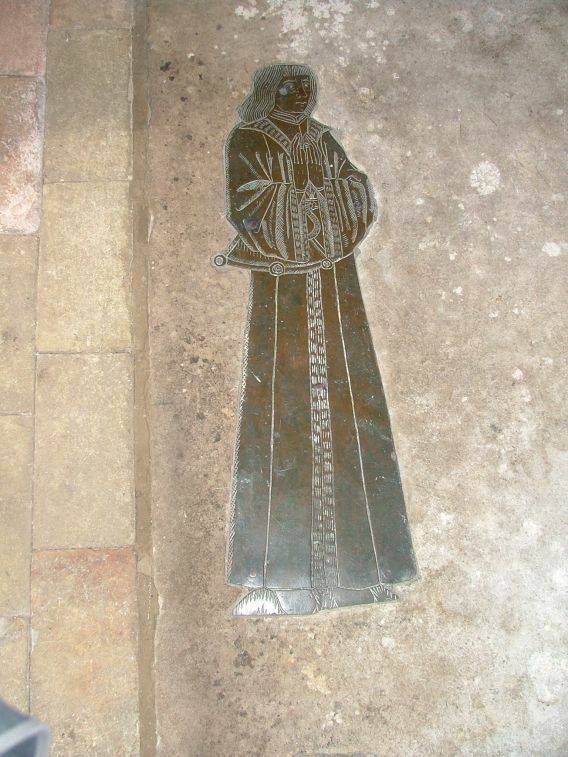 By 1544, when the brass to John Wyncoll in his doublet was installed, this process was already well under way. 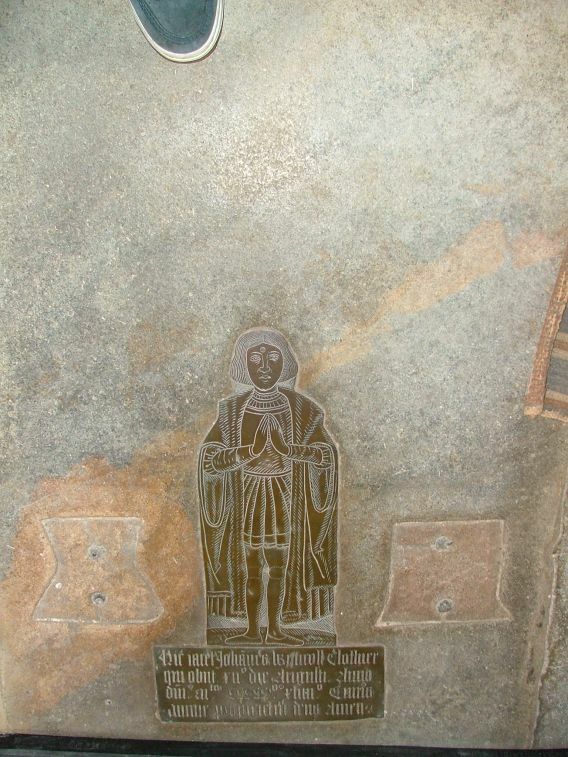 A reminder of happier and less turbulent times in the parish is the grandest brass of all, the clothier John Colman in 1506, whose family may well have paid for the rebuilding of the church. Beneath him, his six sons and seven daughters stand in pious grief. What would the next half century mean to them, I wonder? Religious history is interesting, and having an angle on it certainly makes a visit to a medieval church more worthwhile. 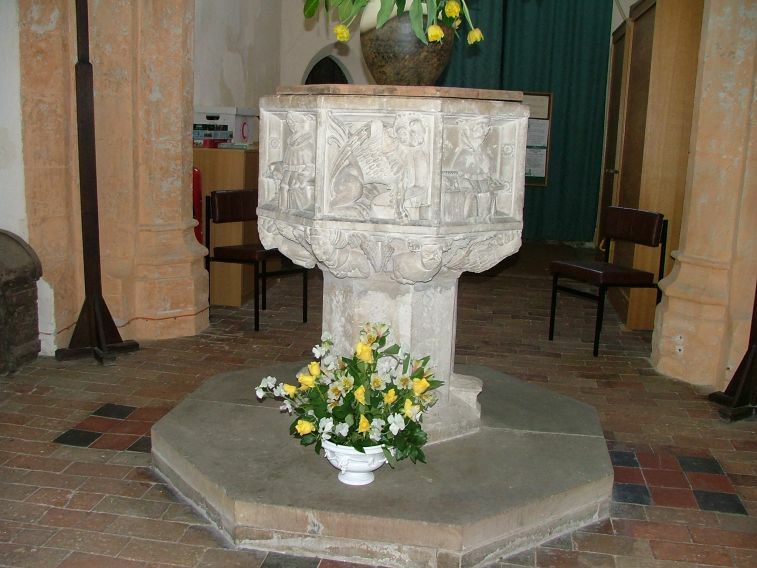 But the medieval churches of England are, above all else, a communion, a touchstone down the long generations of the people who were born, lived and died in their parishes. Some of them were rich and important like the Appletons, Wyncolls and Colmans. Future generations would leave their mark behind in the form of charity, recorded on the benefaction boards in the north aisle, or in the memorials around the walls. But most are lost to us, with not even headstones in the graveyard recording their brief lives. 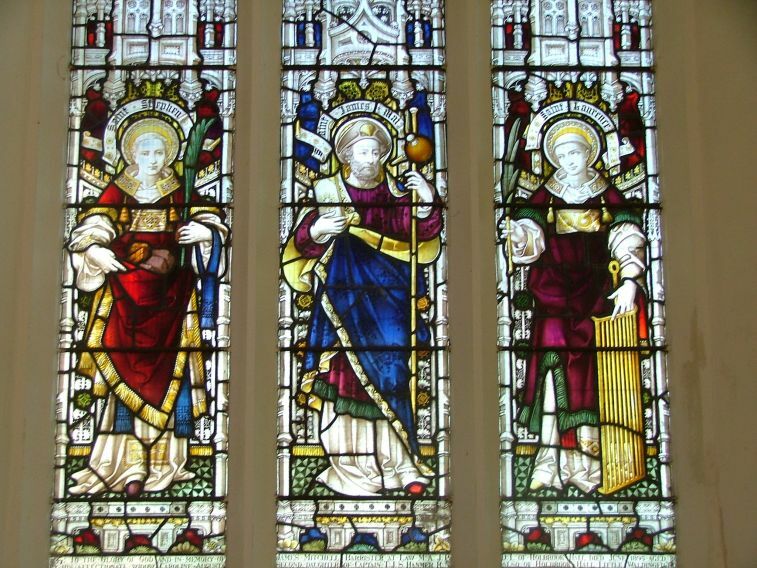 To stand in a church like St Lawrence is to sense them briefly, a resonance in the air perhaps, a movement out of sight, an echo almost heard. As the Church of England fades and dies, how much more important it becomes that these buildings survive to remind us of who we are, and where we have come from. 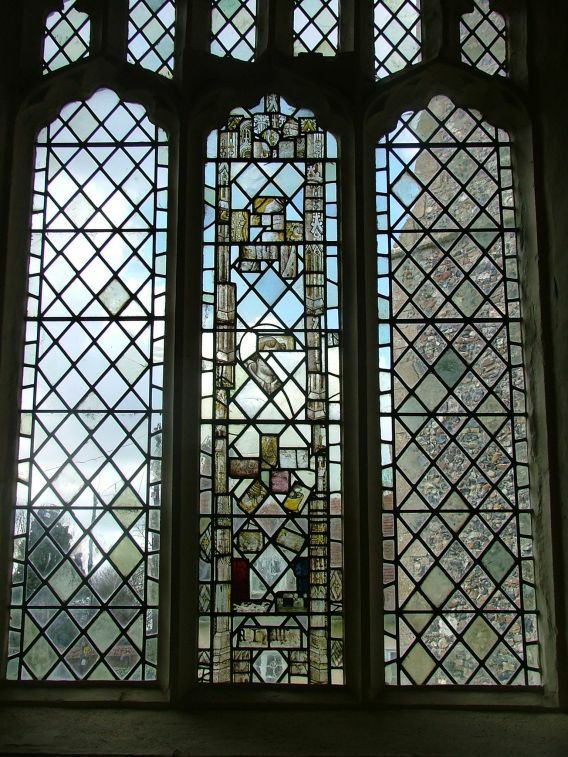 And as the State Religion by Law Established that Henry VIII planted becomes little more than a small enthusiasm, the final preserve of a scattering of increasingly beleaguered faith communities, at a time when Christianity is flowering and burgeoning in modern buildings and denominations elsewhere, it will be a tragedy if we forget that our medieval churches were always more than mere worship spaces.